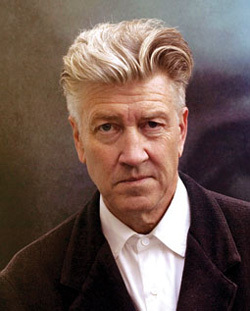 David Lynch, man! David Lynch, man! Does whatever David Lynch can! Confuses viewers, just like flies! Look out! Here comes David Lynch, man! Actually, wait, that last bit might not be true, but for some reason we keep thinking of that TV theme…no idea why. This week people are going crazy in Toronto queuing up to see the latest massive Hollywood blockbuster—David Lynch’s Inland Empire! Which isn’t so much a Hollywood blockbuster as a film he made over a period of years on digital video, largely self-financed and self-distributed. It’s also about three hours long, but considering that there’s some other big blockbuster film out this week (we forget the name) that’s about two-and-a-half hours long, we don’t consider that a barrier to entry. NOW’s John Harkness gives it five Ns and says, “Were there any justice, Laura Dern would have won the Oscar last year.” We agree—she deserves an Oscar for the amazing crying face she makes in Blue Velvet, and she probably makes the same face loads in Inland Empire. Worth the cost of admission alone, eh? Other than that, almost no one has chosen to put out any other films this week, lest they face the ire of the unstoppable juggernaut that is Inland Empire (which is actually only showing at the Royal, for some reason). Well, there’s Sarah Polley’s Away From Her and biopic The Flying Scotsman (though cyclist Graeme Obree’s story is in fact fascinating, it doesn’t sound as if it’s been done any justice; “The drama here is soft-peddled,” says Eye’s Liz Clayton). Astoundingly, people are running festivals this week, so we might as well give them a mention. 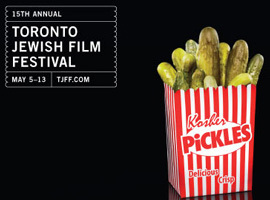 The Toronto Jewish Film Festival opens tomorrow night with The Year My Parents Went on Vacation at the Bloor Cinema, 9:30 p.m., and you can check out their full schedule at their website. There’s also the Hong Kong Film Festival, opening tonight with Isabella at the Royal Ontario Museum at 7:40 p.m. Horror fans will want to check out Dumplings, however, playing at Innis Town Hall on Saturday at 2:30 p.m. Arrange to get dim sum afterwards. We promise that’s a good idea—and if you manage to stomach them, go and check out a screening of Peter Jackson’s awesome Dead Alive at the Brunswick Theatre at 10 p.m. That ought to finish you off.